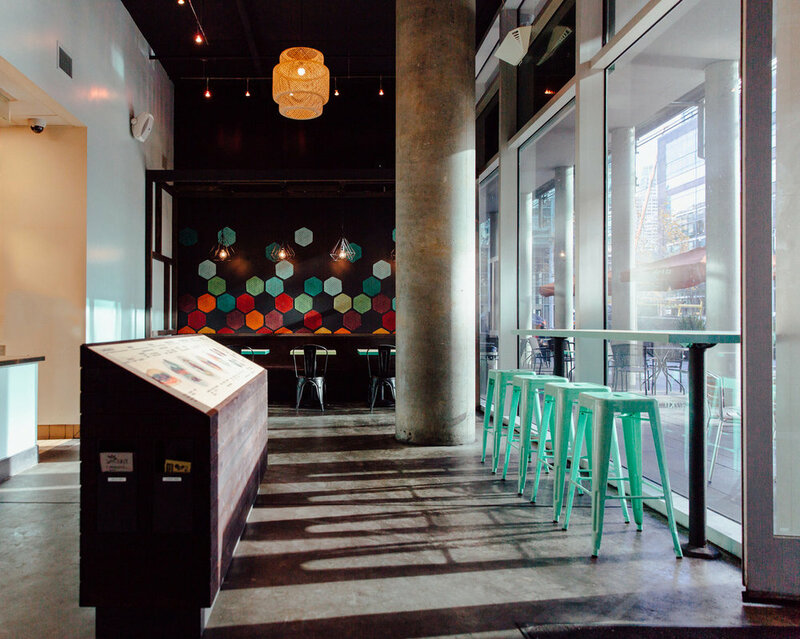 Constraints and performance criteria often become our springboard for design inspiration. 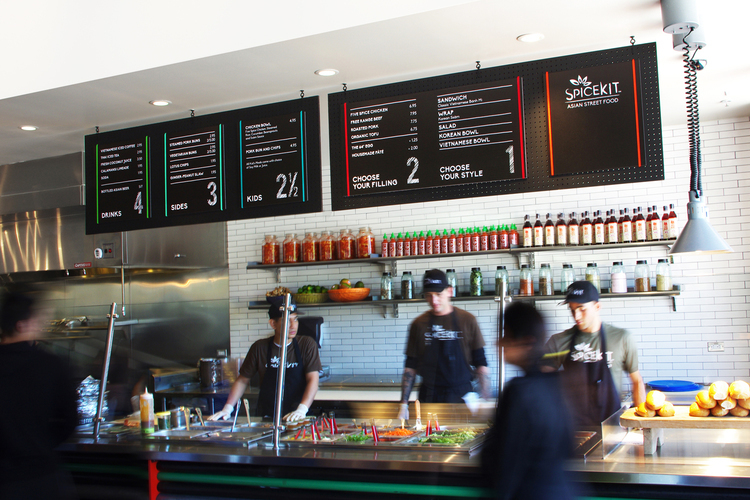 For Spice Kit's new location in San Ramon, the restaurant introduced a new ordering system which required a flexible menu board as the new ordering concepts were being tested. 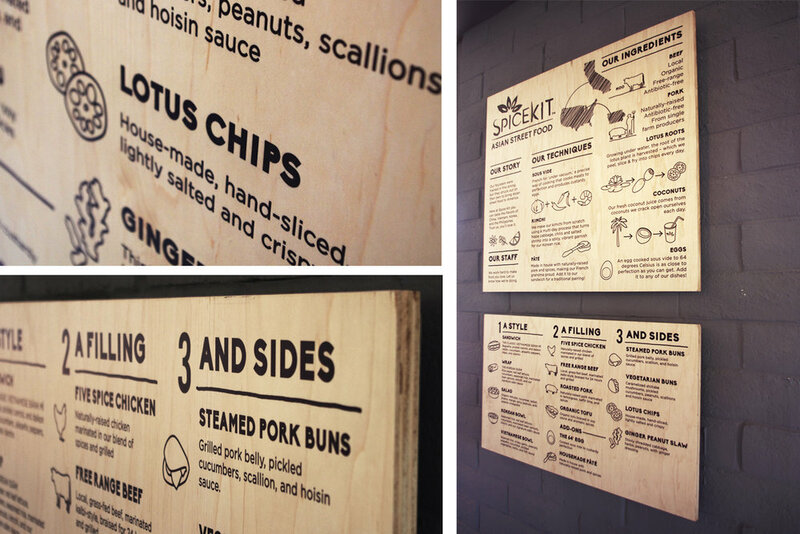 Working with everyday materials like pegboard and elastic, we built a unique signage system that suits the vibrant, street-food aesthetic of Spice Kit while allowing boards to be easily changed out for the breakfast menu and specials. 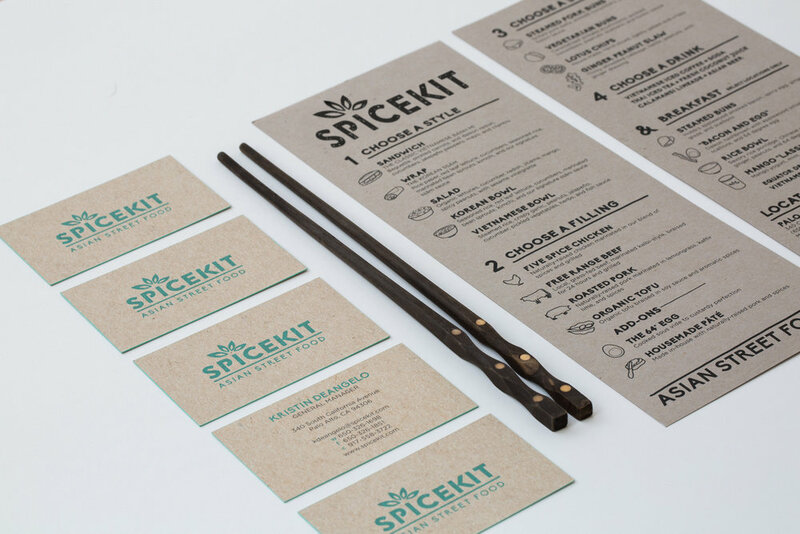 We worked closely with the client to develop wood infographics, interior signage, and marketing materials that suited the Spice Kit brand. 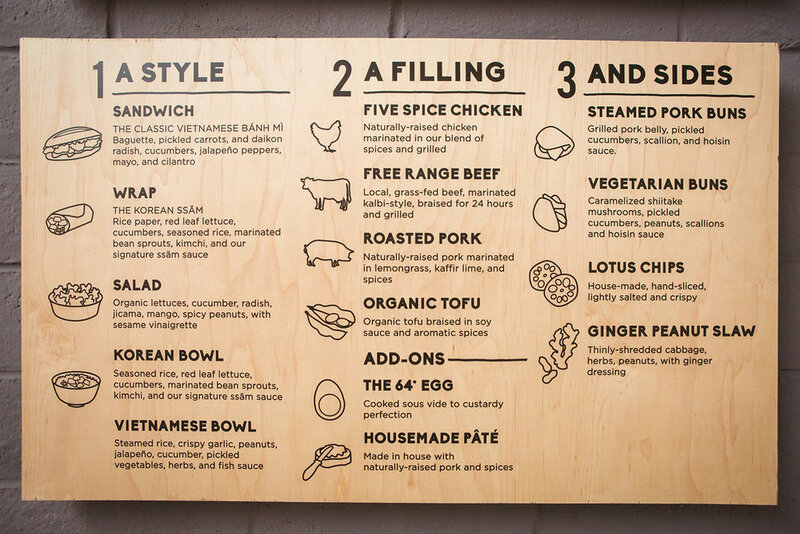 At the San Francisco location, a queueing barrier clad in torched cedar doubles as a lunchtime crowd-organizing mechanism while displaying graphics of the food in a pseudo-architectural fashion. 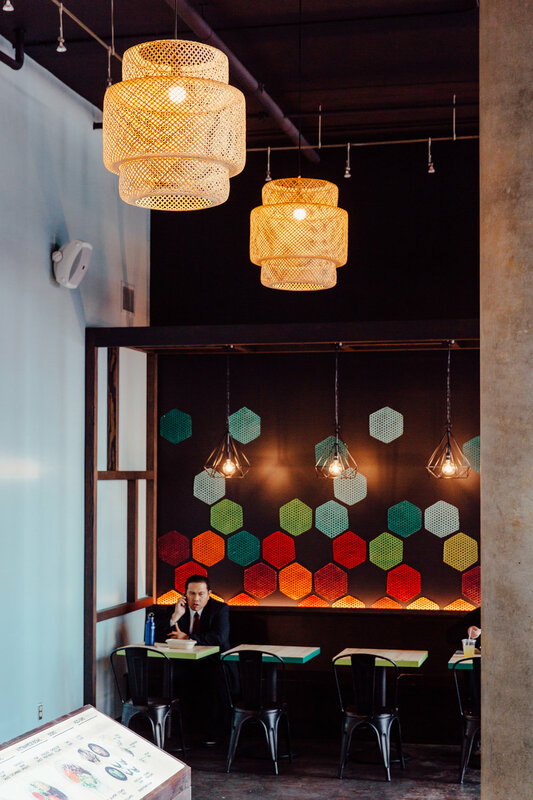 The banquette's backdrop is comprised of colorfully-painted bamboo mats hinting to the colorful nature of Asian street food.